EasyVA servers bring the latest in Artificial Intelligence (AI) and "Deep Learning" to your current security system. As an "add-on" server, EasyVA lets you keep your current servers and equipment while increasing their capabilities. EasyVA servers seamlessly integrate with Milestone XProtect VMS software. Through App-Techs' own BTX (Bridge to Milestone XProtect) software, the AI system can initiate a customized security response within XProtect and across your many security devices. It's that easy with EasyVA. Contact App-Techs to determine which EasyVA Server is right for you. Why add AI and "Deep Learning" capabilties? Detect people, faces, vehicles, license plates, objects, trends, and events in real-time. Search your entire video archive in seconds for people, objects, vehicles, and events of interest. Trigger notifications across your many assets, including text and email notifications, third-party device responses, PA (public address) announcements, and Milestone XProtect on-screen views. The EasyVA line of servers is designed to meet the needs of organizations of all sizes, from small businesses to corporations, hospitals, schools, municipalities, and government agencies. The EasyVA servers are designed and built in the App-Techs facility with high-quality COTS (commercial-off-the-shelf) components. App-Techs' design and sales teams will make sure the analytics perform optimally, from the initial call through implementation. 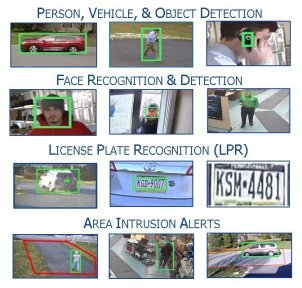 AI detects people, vehicles, objects, and events at rates which often exceed 95% accuracy. In many cases, AI have been shown to be more accurate than human monitors. Easy VA servers and its AI detection software fully integrate with Milestone XProtect MVS. They also work with non-Milestone systems and RTSP cameras. With a web-based, google-like interface and full integration with Milestone, EasyVA takes cutting-edge technology and makes it accessible to everyday user. If questions do arise, the App-Techs support team is available to help. EasyVA servers work with yoru existing analog, digital, and IP video streams. As a "plug-in" design, EasyVA will work alongside your existing cameras and security servers. EasyVA servers are delivered pre-configured and tested, and our technical support team will make sure you get the most advanced functionality out of your equipment. EasyVA packages fit organizations of every size, from small businesses to large-scale city-wide surveillance systems. App-Techs will work with you to add AI functionality as needed while also tending to your bottom line. EasyVA servers and AI detection reduce the need for manually executed security process, staffing hours dedicated to live video monitoring, false flags and missed video events, and video review personnel hours. With app-Tech's own BTX - Bridge to Milestone XProtect you can customize views and alerts in Milestone and initiate a security response across many device when an analytics event is detected. 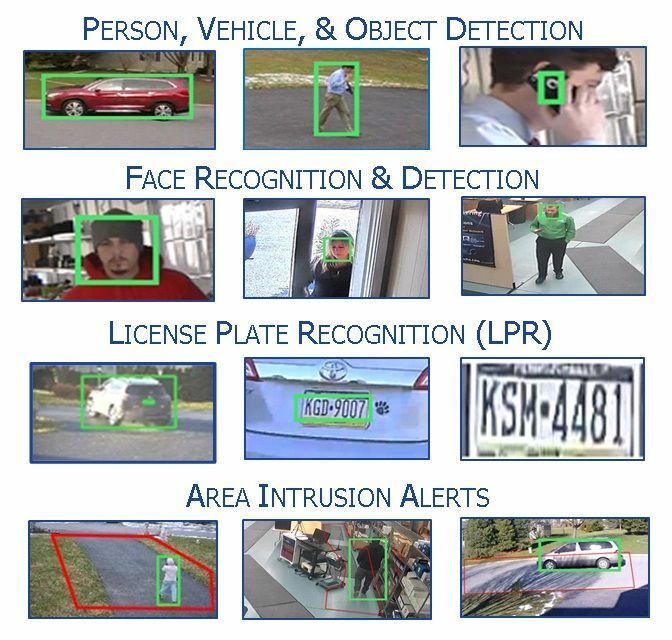 EasyVA Video Analytics Servers with AI technology save time, effort, and resources while increasing security awareness, reducing response times, and strengthening forensic analysis capabilities.